A new food industry giant is now in the making because of the merger between Kraft Foods Group Inc. and H.J. Heinz Co. This merger, according to Heinz will create the fifth-largest food and beverage company in the world. 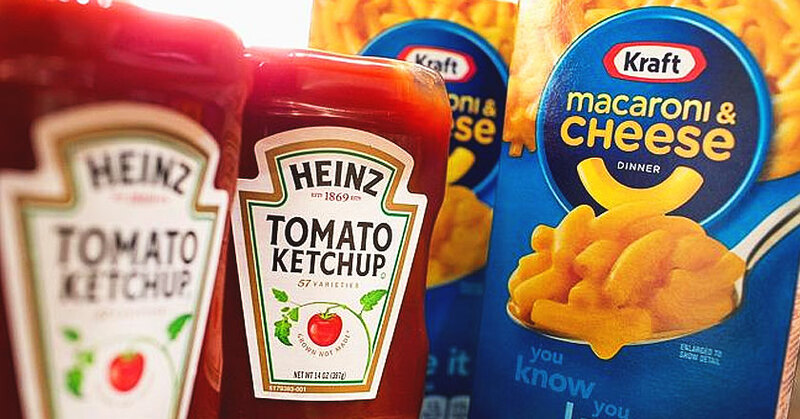 The new Kraft-Heinz Company will be co-headquartered in Pittsburgh and the Chicago area. The third Company that has merged with the two global consumer packaged foods brands is the Brazilian private equity firm, 3G Capital. The merger has been orchestrated by Warren Buffet and Jorge Paulo Lemann as part of a 46 billion dollars deal. The Kraft-Heinz Company will have eight brands which will include Philadelphia cream cheese and Heinz’s signature tomato ketchup. These two brands have been a common element in American kitchens for decades and yet at present the Companies are striving to keep up with the changing consumer food choices and selection of healthier diets. “Despite being quite iconic, these brands are losing their resonance with consumers—they like the brands, but they don’t actually want to eat them,” stated Euromonitor International analyst Raphael Moreau. This merger is, by far, this year’s biggest merger, and it is definitely set to have far-reaching effects on food consumption patterns and how consumers are receptive to different kinds of packaged foods.